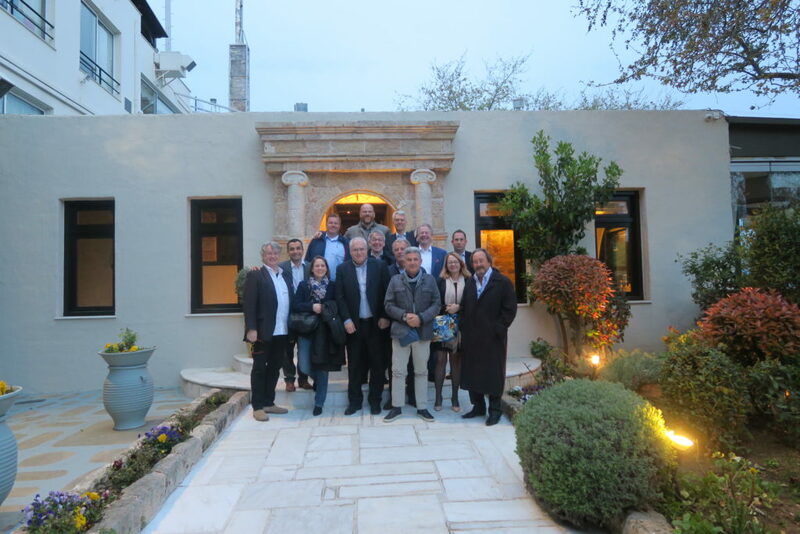 The European “Pool-family” EUSA wants to grow…. Since the world is getting smaller and the swimming pool and wellness market is also becoming more global, the idea of bringing together the associations in the world of pools at the aquanale arose. It was possible to look up contacts in the following countries in advance and to invite them in person: Argentina, Australia, Belgium, Brazil, Germany, France, Greece, Great Britain, Italy, Canada, Mexico, New Zealand, Austria, Portugal, Romania, Sweden, Switzerland, Spain, South Africa, the Czech Republic, Turkey, Hungary and the USA. 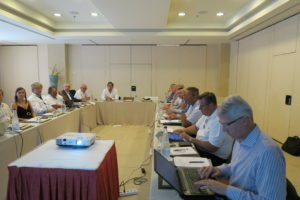 In addition to Bert Granderath and Dieter C. Rangol of bsw, the hosts are Marcelo Mesquita from the Brazilian association ANAPP, Rich Gottwald from the US association APSP, Chris Hayes from the British association BSPF and Andreas Petridis, President of the European Swimming Pool Association EUSA. Improving quality in the sector and increasing safety, these are two reasons behind the event. In addition, those attending will strive for, among other things, an exchange of training and development opportunities in our sector of the economy, market data and new technologies. Which regulations apply where? What advantages and disadvantages, what challenges are associated with the individual standards? These are questions that we would like answered so as to possibly consider common rules as a next step. Another aim of this Cologne event is to intensify existing contacts and to create new networks. How do markets in other countries approach this? What opportunities are there for which product groups? To what extent are international cooperation arrangements of interest? The aquanale is intended to provide a framework for getting to know experts from various markets and exchanging ideas with them. Building a common structure so as to get our voice heard by politicians and administrators at an international level is another idea that is to be discussed at this global rendezvous. Based loosely on the saying “Everyone knows something that others don’t”, the intention is to bring together expertise and to set up a pool of specialist information from which all associations and therefore all member companies benefit. The international association rendezvous will start at 10.30 on 8 November in Congress Centre North, Area A of Koelnmesse (Cologne exhibition site). Interested association representatives can register by email with Ute Wanschura (bsw), wanschura.bsw@einzelhandel.de by 24 October.